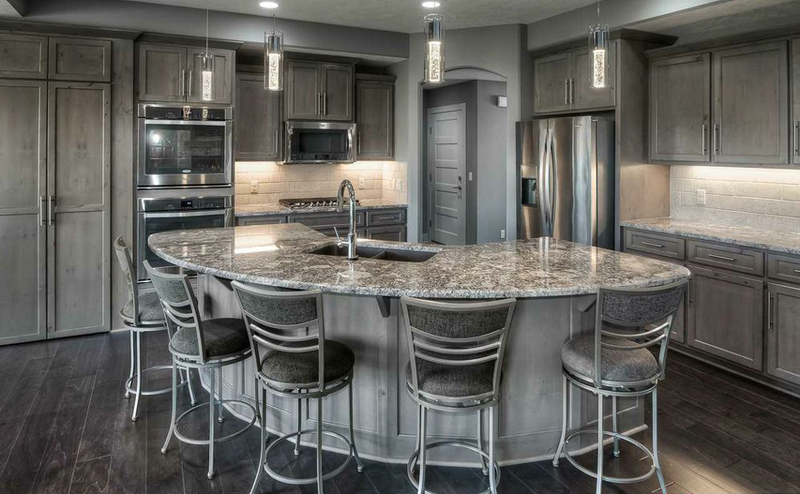 To showcase kitchen design features that will inspire your next upgrade, we rounded up some of the most beautiful Omaha area homes on the market right now. Let us know which is your favorite in the comments below! 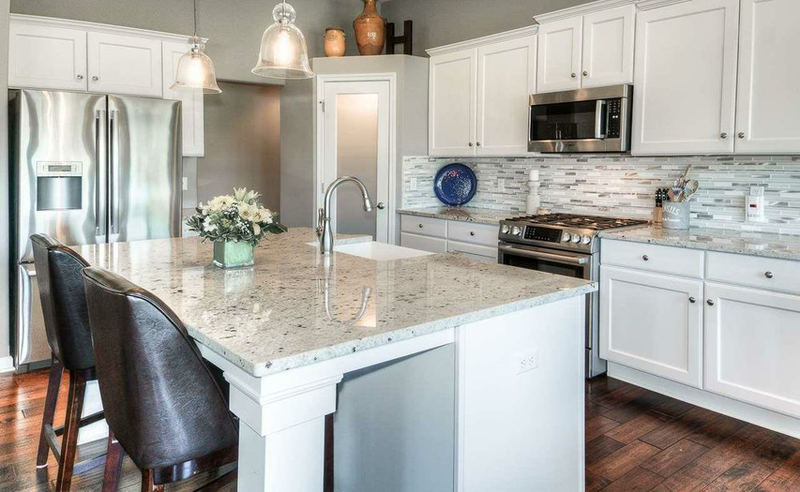 Featuring natural stone countertops, a bold backsplash, a farmhouse sink, stainless steel appliances and dark wood floors to make everything pop — this kitchen has it all. We’re finding it difficult to pick a favorite element! The marbled countertops in this beautiful kitchen definitely steal the show, but we’re also drawn to the striking wood floors, modern pendant lighting, clean white backsplash and stainless steel appliances. To display all of your gorgeous dishes, you need open shelving! 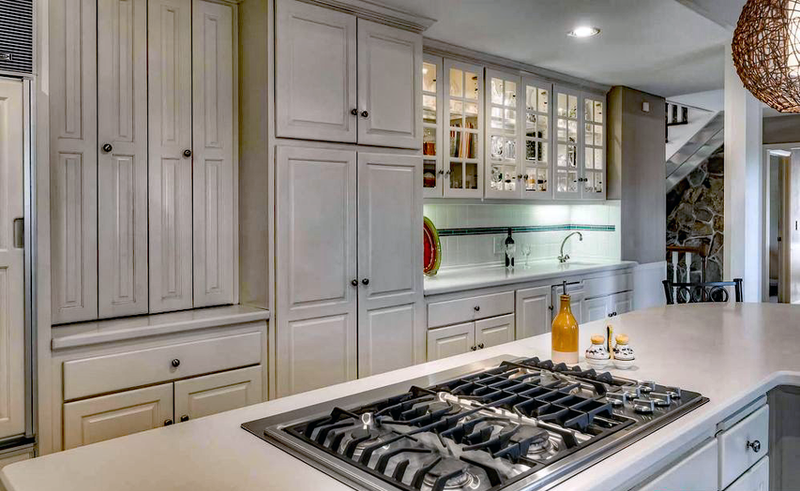 This home boasts a spacious kitchen with plenty of enclosed cabinets, but also a striking shelving unit to show off your favorite pieces — the best of both worlds. Grey is the name of the game in this home, which boasts grey floors, grey countertops, grey walls, grey cabinets and grey accents! The color by itself gives this space a modern feel, especially with its cooler tone. Use it as an opportunity to keep everything one hue, or create a striking contrast by decorating with bright colors. If you’re looking for a clean, modern look, you can’t beat an all-white kitchen. 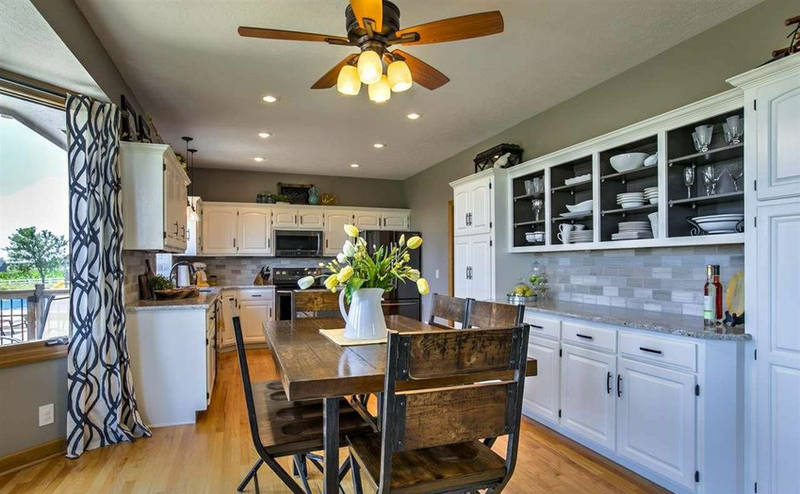 This one features a large kitchen island, tile flooring, modern appliances, plenty of cabinet space and a door that leads directly to the sun-splashed back patio! 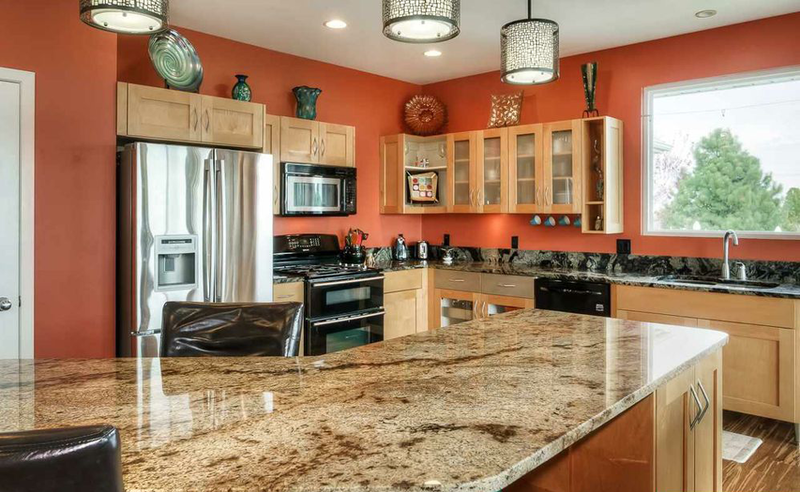 Splashing in a warm color like rusty red instantly makes your kitchen look brighter and more inviting. 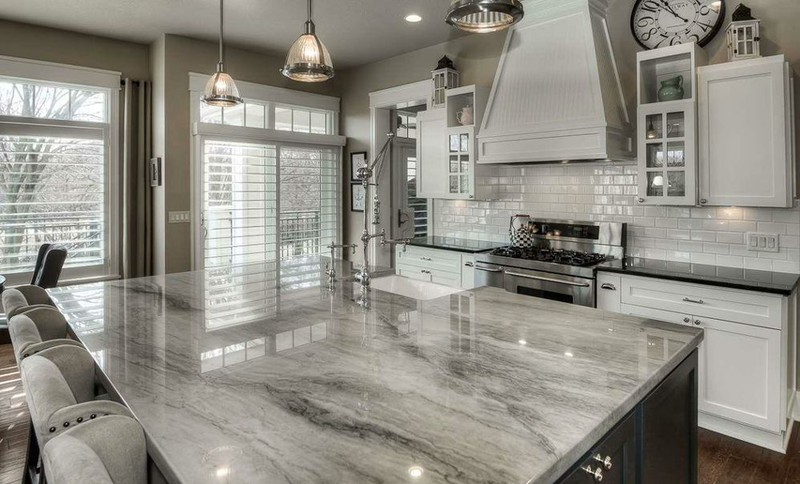 We love how the walls in this home complement the gorgeous granite countertops! 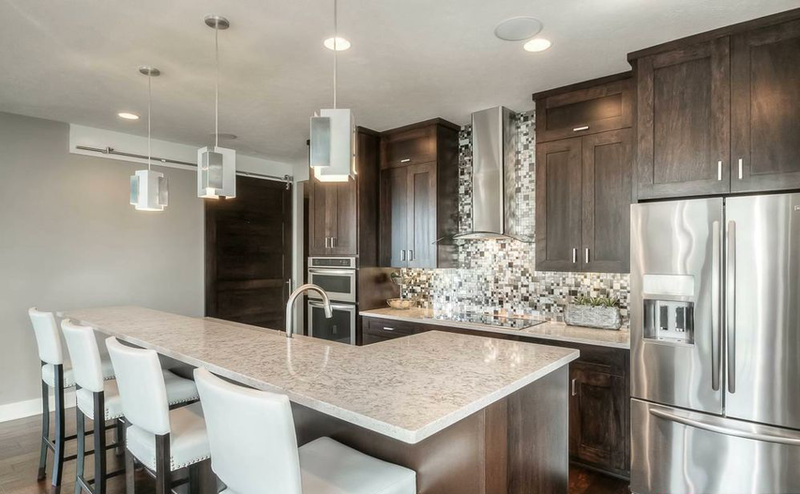 This stunning 6-bedroom home in Elk Ridge keeps things clean, simple and striking for a modern feel. 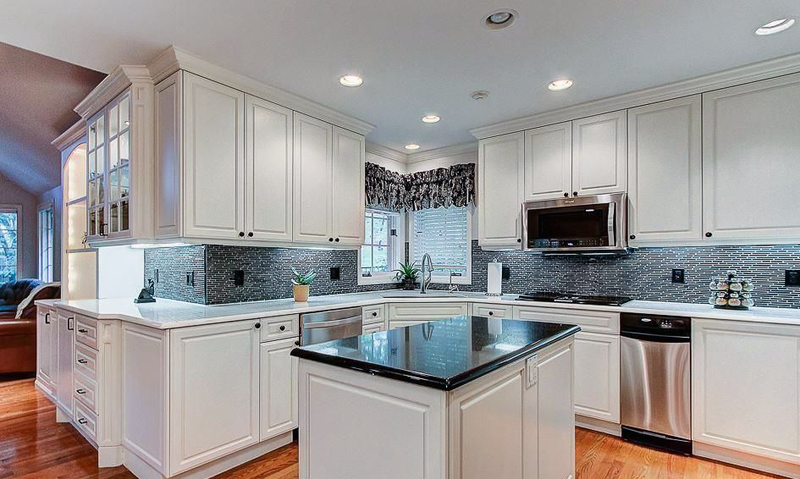 The one exception, however, is the geometric pattern on this backsplash, which makes a statement in the kitchen. The black subway tile backsplash in this kitchen makes everything else stand out, and adds some dimension to the bright and airy space. 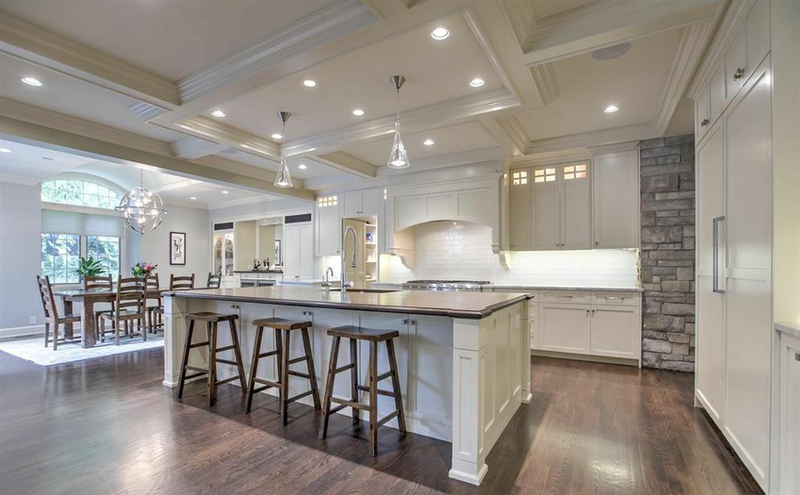 Aside from the stunning kitchen, this home in Tomlinson Woods also features high ceilings, an abundance of natural light, beautiful flooring and more! From the subway tiling and pendant lighting, to the dark wood floors against the white cabinets, we are loving how the colors and materials complement each other in this beautiful kitchen. Our favorite detail, however, is the stone brick wall that seems to bring the outdoors in. 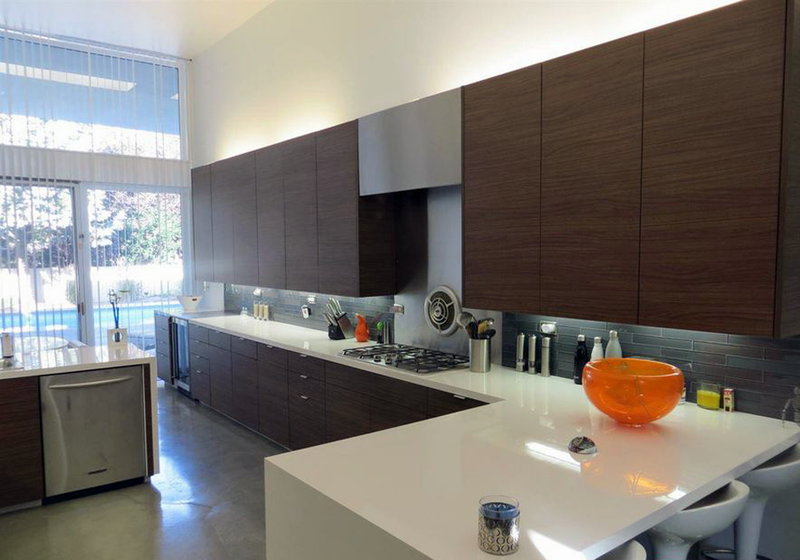 This home, designed by famed architect Polsky, is strikingly modern. Concrete floors in the kitchen complement the sharp angles of the cabinetry, keeping things clean and interesting! You’ll find touches of marble, granite, glass, mixed metals and concrete throughout the home. 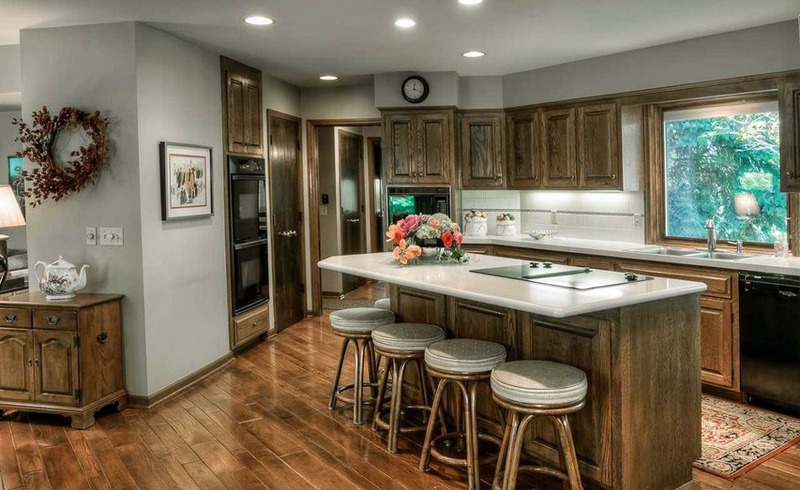 The dark wood floors and earthy cabinets in this kitchen are balanced beautifully by clean white countertops. We are also smitten with the ornate rug, which adds some extra personality! Let us know in the comments, and make sure to follow us on Instagram for more home inspiration!